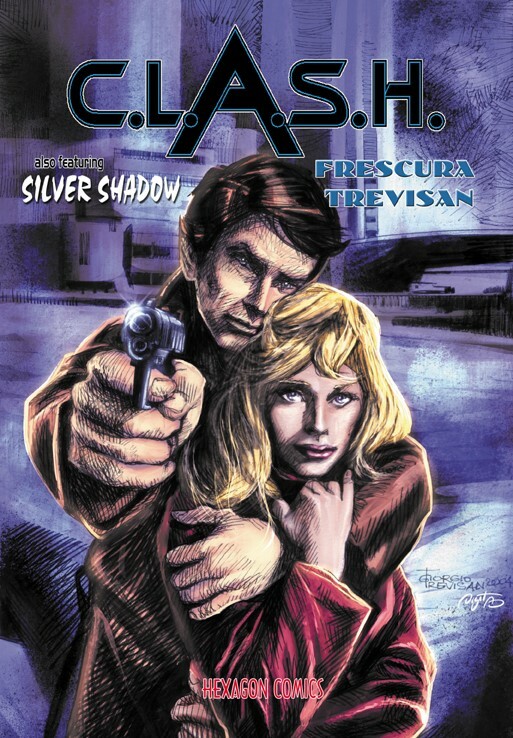 Giorgio Trevisan, colors by Anthiony Dugenest.C.L.A.S.H. by Franco Frescura and Giorgio Trevisan, cover by Giorgio Trevisan, colors by Anthony Dugenest. Story: An international organization fights crime. Story: In the very far future, an angelic superbeing defeats Duke Oxian and the forces of evil.